Chris & Kellie have been together for almost a decade, and five years ago, Chris proposed to Kellie while on vacation in Seattle. 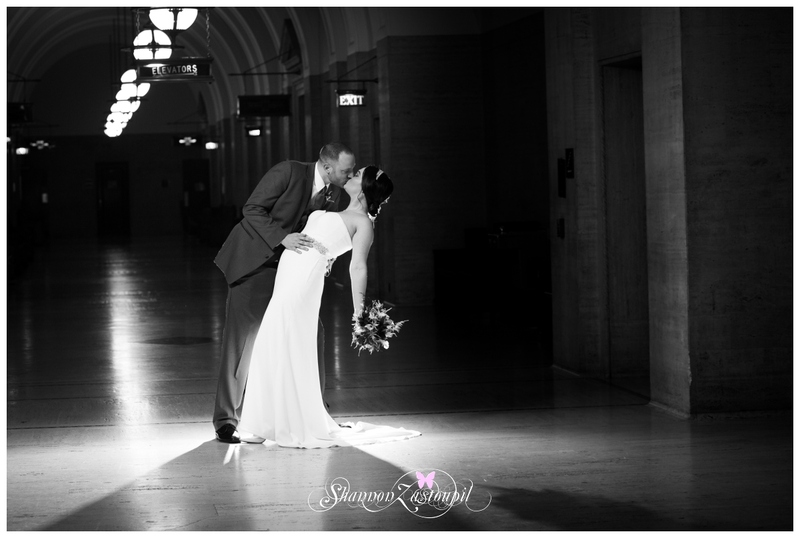 They decided to wait until Kellie completed school before planning their intimate wedding in Milwaukee. With friends and family travelling from all over, it was a wonderful gathering and memorable day for the couple and their loved ones. The ceremony took place at the Milwaukee Court house, with all 31 people cozied into the Judges chambers during the quick nuptuals. Afterward, we took some time to get some portraits of the two of them at some of their favorite landmarks in town, before reconnecting with the rest of the gang down at Harbor House. With Milwaukee's beautiful skyline lit up, and a front row view of Lake Michigan, Harbor House was the perfect choice for the Allen Wedding dinner party. The staff did an incredible job keeping guests fed and hydrated through out the night, and the meal was incredible. With a little help from the kitchen staff, we were able to source a speaker so that Kellie and Chris could have their first dance - K-Ci & Jojo, All My Life.